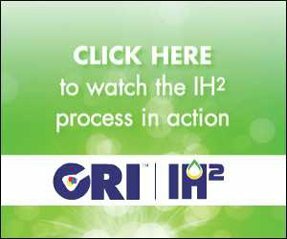 ioremediation, nutrient recovery, serves as the critical first step in nutrient cycling. Most bioremediation research focuses on the capture of nutrients harmful to the environment, animals or people such as excess CO2, nitric oxides (NOx), polluted wastewater or toxic heavy metals. Bioremediation can also recover scarce nutrients that are expensive and in danger of extinction, such as phosphorus. Bioremediation uses naturally occurring organisms to recover nutrients and other elements. Bioremediation provides three ecosmart solutions. Algae biosystems can recover scarce waste nutrients such as P in polluted water and organic solids. Many nutrients, such as CO2, CH4, and N, are polluting air and waterways. 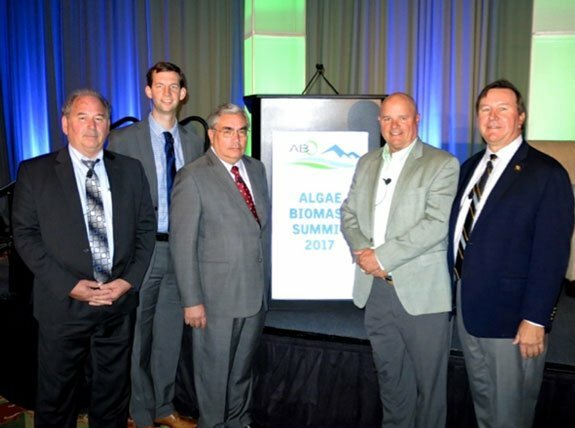 Algae biosystems can recover those nutrients and at the same time capture P. Industrial practices are releasing massive levels of heavy metals, which can also be remediated with algae biosystems. Algae biosystems use solar energy through photosynthesis to capture nutrients from polluted air, water and organic solids. Air pollution sources may be any exhaust stack such as power or cement plants, factories, breweries or restaurants. Wastewater may come from any source, including municipal, agricultural, industrial, rivers or aquifers. Solids organic wastes may need pre-treatment such as pulverizing into small particles. Waste nutrients from solids may also come from waste-to-energy sources such as gas plasma, gasification or anaerobic digestion. The naturally occurring mineral nutrient P is critical for cellular metabolism. With the exception of water, P is the most critical limited resource for crops because P sustains all living cells. Phospholipids form and maintain cell membranes and serve as the key structural components of DNA and RNA. Available P creates the shape for DNA, and provides the blueprint of genetic information contained in every living cell. A sugar-phosphate backbone forms the helical structure of every DNA molecule. The element also regulates ATP (Adenosine-5′-triphosphate), which is the main energy storage and transfer molecule in cells. Accessible P plays an essential role in photosynthesis and helps plants to mature properly. Massive global P consumption for food production depletes P stores rapidly. Fertilizers are made up of N-P-K, and the price of each of these components directly affects the prices of the other two. Only five countries control 90% of the world’s phosphate, which creates an oligopoly pricing model. Each year P costs more to extract because mines are deeper. Many P mines are degrading as the easily mined, high quality upper layers deposited on the floor of an ancient ocean have been mined. The costlier extraction of lower quality rock necessitates extracting more phosphate rock to produce each ton of fertilizer. Plants need more P than any other element, besides carbon, because P drives photosynthesis, sugar production, (stored energy), root growth, blooming, fruiting and seed production. The element also promotes N2 fixation in legumes. Plants stop growth and die with insufficient P.
Plants cannot be fooled by substituting other elements for P. There are no synthetic substitutes for P. After mines of P, manganese, zinc, copper and other vital elements are depleted, the only available source will be recycled waste streams or ocean water. Neither option is used today because those sources are too salty for direct use on land and conventional extraction methods require far too much energy to make economic recovery possible. As world reserves of this critical natural resource diminish, prices will skyrocket. Scientists at Linköping University in Sweden and Arizona State University predict peak P will occur about 2031. ASU scientists recognized the strategic importance of P and created the Sustainable Phosphorus Initiative in the Global School of Sustainability. Peak P will pose a serious threat to agriculture as global reserves of high-quality phosphate rock go into terminal decline. Eleven US states have passed laws that ban certain forms of P fertilizer for use or sale to home owners. No similar laws affect farmers – yet. Germany understands P so strategically that the Federal Ministry of Environment passed the sludge ordinance, (AbfKlärV). The law makes phosphorus recovery from sewage sludge obligatory for all large German sewage works. China has used “night soil,” (human wastes) for centuries to cycle P back to fields. This strategy is not possible in the US, because Americans use too many pharmaceuticals that pass through as waste and may re-emerge in wastewater and field crops. Many algae cultivars are able to recover P and other nutrients and produce oils for biofuels at the same time. A research team at the Rochester Institute of Technology demonstrated that three types of microalgae, Scenedesmus, Chlorella, and Chlamydomonas can efficiently convert nutrients to fuel on a diet of municipal waste water in a harsh and salty environment. Algae adsorbed 99% of the ammonia and phosphates, and 88% of the nitrates. This research used a two-staged model where algae produce lipids at their normal rate in the waste water until the N and P are depleted. Then, the algae respond to starvation by turning on their reserve nutrient stores to produce more lipids. The lipids are harvested for biofuel and the remaining biomass is fermented with an anaerobic digester to make biogas. The remaining nutrients in the residual digestate can then be recovered as mineralized fertilizer from the solid and liquid fraction. The bio-methane (CH4) coming off the digester burns in a combustion chamber, making more energy. The CO and CO2 gases from combustion are cycled back to provide additional carbon for algae production. Algae bioremediation can recover excess nutrients such as N, CO2, and CH4 efficiently. Nutrients from agriculture, industry and human lifestyles pollute and poison ecosystems and contribute to climate chaos. Farmers put massive amounts of fertilizers on field crops, but only about 40% is absorbed by the plants. Chemical fertilizers are highly soluble and they percolate or drain out of fields quickly with rain or irrigation. The chemical runoff enters fragile water ecosystems, disrupting the delicate nutrient balance. The residual fertilizer erodes from the field polluting waterways and causing entrophication and dead zones. Entrophication occurs first as algae bloom ignited by the surplus nutrients. Algae add huge amounts of oxygen to the water. Algae produce sugars, which attract swarms of bacteria that attack the algae and consume all of the dissolved oxygen. Bacterial consumption suffocates all plants and aquatic creatures, creating a dead zone. A Smithsonian-led study of 410 dead zones found they have doubled in size every 10 years since the 1960s, largely due to increases in nutrient-filled agricultural runoff. The US has 265 dead zones, including several in the Great Lakes. Dead zones occur at smaller lakes and estuaries at the mouth of every river that flows from agricultural areas. The Gulf of Mexico Dead Zone at the mouth of the Mississippi River kills all aquatic life over 8,000 square miles, an area the size of New Jersey. Fisheries at the mouth of rivers are typically the most productive and diverse sources of fish. The US loses valuable fisheries to deadly fertilizer poisoning. NOAA estimates the Gulf of Mexico costs $82 million a year. Every organism including a single cell, plant, tree or human requires N for its physical structure, function and reproduction. Although the atmosphere is made up of 78% N, plants cannot use atmospheric N directly. The N must be converted into nitrates or ammonia, which is often accomplished by N fixing bacteria and cyanobacteria, algae. Production of reactive N, nature’s most promiscuous element, has increased 15 times since 1960, to 115 billion tons in 2017. Over 80% of this N is used in MIA. Synthetic N production is over double that of all natural processes on land combined. In the U.S., people consume only about 10% of the N farmers apply to their fields every year. The remainder volatizes into the atmosphere or runs off to waterways. Building a food supply system dependent on industrially fixed N and mined inorganic chemicals, makes our ability to feed ourselves dependent upon nonrenewable fossil fuels, limited agricultural chemicals and the wisdom, benevolence and cooperation of a few corporate executives that head the world’s chemical fertilizer plants, mines and petroleum companies. These executives share a very poor history. Fertilized soils release more than two billion tons of greenhouse gases every year, especially CO2, methane and NOx, (N oxides). A recent scientific report of nine global environmental challenges that may make the Earth unfavorable for continued human development identified N pollution as one of only three problems – along with climate change and loss of biodiversity – that have already crossed a boundary that could result in disastrous consequences if not corrected. The excess reactive fertilizer is mobile and rides on air and water from the field. Additional N in the form of nitrate seeps into drinking water, where it lurks as a poison that can damage internal organs. High levels of nitrates in drinking water have been linked to blue baby syndrome, when a baby’s blood can’t carry sufficient oxygen, as well as miscarriages. A review by the National Institutes of Health shows elevated nitrate concentrations in drinking water raise the risk of cancer, Alzheimer’s, diabetes and heart disease and drives up mortality rates. Nationwide, utilities spent $4.8 billion to remove nitrates from public drinking water supplies in 2011. In the heart of the corn belt, Iowa’s largest sewage treatment plant spends millions on nitrate removal. A 2007 Iowa report indicated 274 Iowa waterways were seriously polluted. Studies in all the corn-belt states have produced similar results. A majority of waterways and well water in the corn-belt contain fertilizer pollution. Fertilizer run-off causes such a problem that Iowa was forced to install the largest and most expensive in the world. The Des Moines plant now must invest another $19 million in new equipment to reduce the fertilizer found in the state’s waterways and well water. Rural families not connected to the city’s water treatment plant must depend on well water, which puts their families at substantial health risk, because their water contains carcinogens and other deadly poisons. A University of Iowa study tested 475 private wells in 93 counties. The unsettling results showed 49% tested positive for nitrates, 48% had arsenic and 43% tested positive for total coliform bacteria, which can make people extremely sick.